Two sides. A indistinguishable cacophony of shouts and jeers. Thousands of eager eyes glued to the telly, waiting to find out the score. This was not last night’s football match, but rather the setting for the meaningful vote on Prime Minister Theresa May’s withdrawal agreement. The vote saw May’s deal fall victim to the biggest Government defeat in history, with the Ayes (those in favour of May’s deal) totalling 202 votes, and the Noes (those opposed to May’s Deal) reaching a whopping 432 votes. With over double the amount of MP’s rejecting her deal compared to supporting it, the Prime Minister was disparaged by her peers as she vowed to adopt a “constructive spirit” to negotiate an improved Brexit deal with the EU. So what’s next? The vote may have been historic, but the night proved to be predictable and underwhelming. As expected, Mrs May now has until Monday to salvage her deal and to re-enter discussions with EU leaders over key issues, such as an end date for the backstop. However, persistent reiterations from Junker and other EU leaders that this deal is the only deal, combined with the sheer scale of last night’s rejection, suggests that there is every chance May will return red-faced and empty handed. In Westminster, the House will debate the motion of no confidence that was tabled by Leader of the Opposition Jeremy Corbyn last night following his criticisms over the “sheer incompetence” of the Conservative Government. In the likely scenario that May’s new deal faces a second round of rejection, Britain is supposedly left with several options. If Brexit boils down to May’s way or the highway, then ‘No Deal’ presents itself as the only option available, forcing Britain to ‘crash out’ of the EU: a possibility prepared for by industries and welcomed by many Leave supporters. 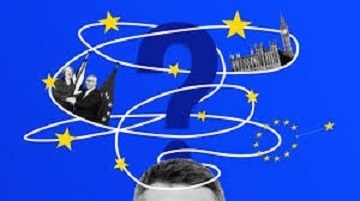 In terms of a People’s Vote, the pomp cultivated by many MP’s across the political spectrum to support a second referendum has not been matched by diplomatic efforts to articulate the specific details of what the new referendum would actually entail. Moreover, whilst the possibility of revoking Article 50 altogether remains an option, to do so would undermine Parliament as a beacon of democracy. Considering May’s consistent unwillingness to concede her spot at No.10, the chances of May calling a General Election, and a Labour Government succeeding considering that the Conservatives remain ahead in the polls, suggests that Corbyn’s chances of a Labour Brexit are slim. All these options are unsatisfying and difficult to stomach. What is clear is that Brexit does not mean Brexit. Brexit means many things to many different people, making the question of how to deliver it an insurmountable challenge, exacerbated by increasing belligerent polarisation and brinkmanship on both sides of the debate. As we enter the 10-week countdown for Britain’s official departure, one cannot help but feel that Britain has rolled the dice, landed on a snake and found itself back, literally, at square one.